This is the 1st Landscape described by Gertenbach. 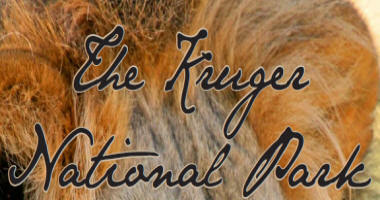 There are 35 Kruger Park landscapes described in total. This landscape is located in the south-western corner of the KNP in the vicinity of Pretoriuskop and covers approximately 530km/2 (2.8 percent of the KNP), Archain granite and gneiss form the underlying material of this area and results in an undulating landscape with distinct uplands and bottomlands. Rocky granite koppies and deep incisions forming seasonal spruits are characteristic. 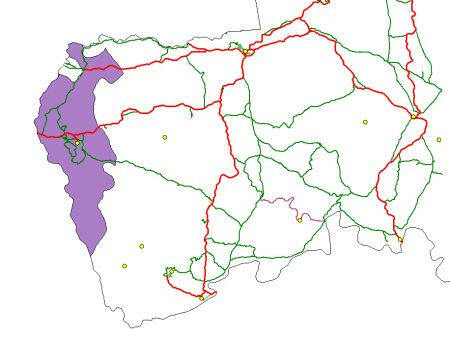 Drainage takes place northwards via the Pabene and Mtshawu spruits to the Sabie River and south and eastwards via the Nsikazi and Mbyamide spruits to the Crocodile River. The altitude varies between 550 and 650 metres above sea level. The annual rainfall varies between 600 and 1000 mm with an average of 743,6mm for Pretoriuskop (Gertenbach 1980). Precipitation usually occurs in summer with effective rains during the months October to April. The relatively high rainfall and absence of frost causes the grass to sprout even during winter, thereby providing green pasture out of season. Daytime temperatures of 35o/c during summer are common, but at the same time the temperature during winter is very moderate. Table 1 shows the average daily maximum and minimum and absolute maximum and minimum temperatures for each month for Pretoriuskop. The soil pattern of the landscape corresponds strongly with the position in the topography. The soil on the uplands is red to yellow-brown in colour, varies from a sand to a sandy loam (6 to 15 percent clay) and is deeply leached. Harmse & Van Wyk (1972) classifies the soils into the Hutton and Clovelly Forms with Portsmouth/Moriah and Paleisheuwel/ Denhere respectively as the dominant Series. Soils are classified by means of the South African soil classification system of Macvicar, Loxton, Lambrechts, Le Roux, Harmse, De Villiers, Verster, Merryweather 7 Van Rooyen (1977). A characteristic of the landscape is that the sandy soils occur from the uplands almost down to the drainage channels. This results in the bottomlands being narrow and relatively inconspicuous. An accumulation of clay and minerals has taken place in the bottomlands and therefore the soils in these areas are clayey with a strongly developed structure. Dominant soil Forms from the valleys are Estcourt, Wasbank, Valsrivier and Sterkspruit. On the banks of spruits soils occur that have been deposited in recent times and have undergone little or no soil forming processes. Such soils at times show clear layers of unconsolidated material and belong mainly to the Oakleaf and Dundee Forms. Albizia versicolor, Lannea discolor, Piliostigma thonningii and Acacia sieberana var. woodii. Ficus sycomorus which is common for riverine vegetation also occurs on the uplands of this landscape. The vegetation found on the koppies ( Fig.5) is comparable to that found in the Malelane Mountain Bushveld (Landscape 2). The field layer is tall (1-2), dense (70 percent crown cover) and is dominated by more sour species of grass like Hyperthelia dissolute, Elionurus argenteus, Hyparrhenia hirta. H. filipendula, Setaria perennis, Rhynchelytrum setifolium, Aristida congesta susp. Congesta, Heteropogon contortus, Eragrostis lappula. E. atrovirens, Schizachyrium sanguineum, Diheteropogon amplectens, Pogonarthria squarrosa and Setaria flabellate. Vernonia natalensis is the dominant forb in the field layer. The physiognomical dominance of Hyperthelia dissolute is typical of the landscape. The grass composition of the middleslopes of the landscapes change slightly and grasses such as Loudetia simplex, Andropogon huillensis, Digitaria longiflora, Eragrostis capensis and E. gummiflua occur more frequently. Fig.5 Landscape 1. Manung, a Granite Koppie. Cymbopogon plurinodis and Panicum maximum. Because of the sweeter nature of the grasses in the bottomlands they are selected by game and it is usually these areas that show the first signs of overgrazing. Spruit and river banks are dense and evergreen plants occur most frequently (Fig.4). Diospyros mesipiliformis, Acacia robusta, Schotia brachypetala, Syzygium cordatum, S. guineense, Ficus sycomorus, Cassine aethiopica, Olea Africana, Spirostachys Africana, Bauhinia galpinii and Euclea natalensis are the dominant woody species. The grass cover is sparse and is dominated by Panicum maximum. The palm Phoenix reclinata occurs in the sandy beds of the larger spruits.